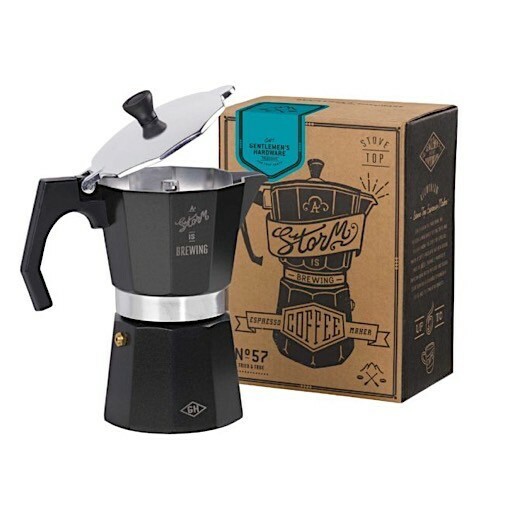 A true gent always gets his caffeine kick the traditional way, and this stovetop espresso maker made from stainless steel will guarantee the day gets off to a lively start. Providing a more robust tasting coffee and pleasant aroma, this percolator is emblazoned with the words “A Storm Is Brewing”. Dimensions: L6.1 x W4.3 x H8.3 inches.